The buggy whippers ride again! Let's keep cars safe from kids! NYC Marathon: 800,000 person-miles. NYC cyclists do that every day. Rachel Fruchter, doctor, teacher, mother, citizen: dead. Why? 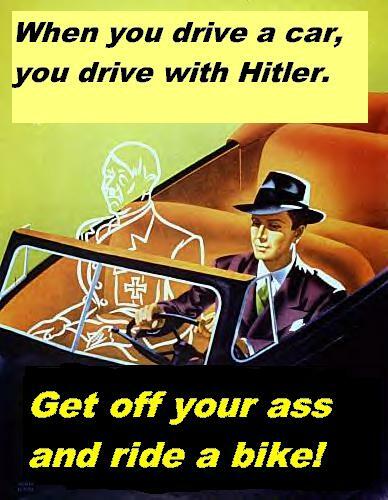 This image was contributed by a visitor to the site, who describes it as "A slight modification of a WWII propaganda poster urging people to carpool."